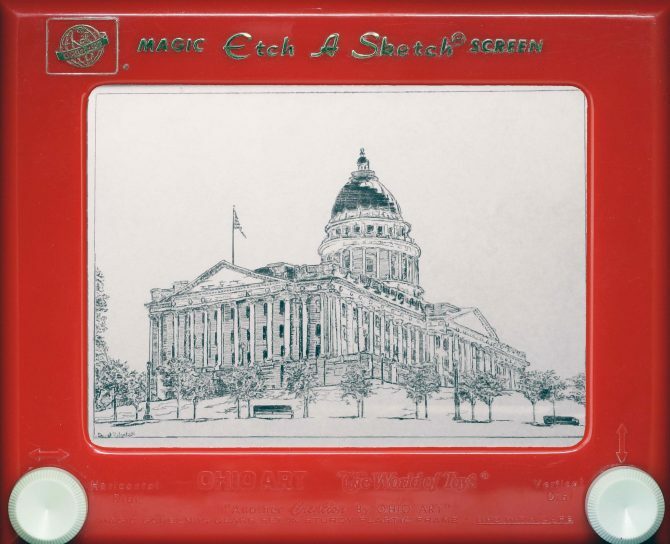 An exhibit of Etch A Sketch renderings featuring cartoons, portraits, and architecture. The drawings were created on several different sizes of Etch A Sketches, from the "World's Smallest" (1/2" X 1") to "Classic" models (5" X 7"). Reception: March 20, 2018 from 5:30 p.m. to 7 p.m.